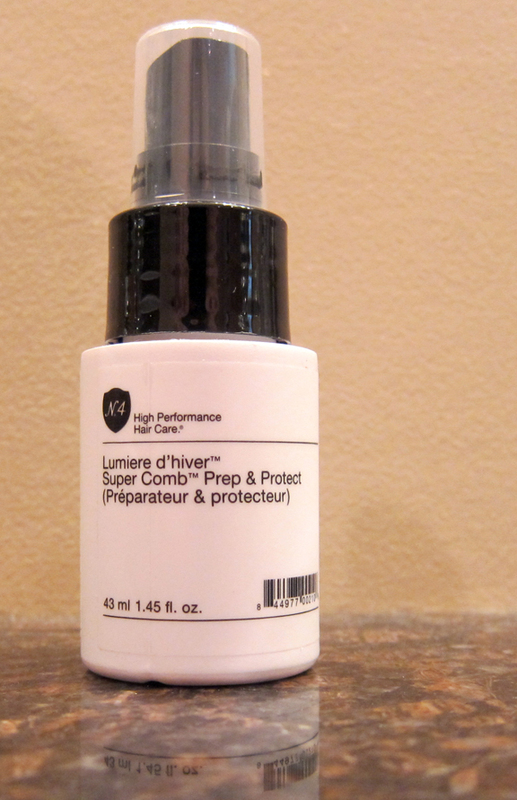 THE SKINNY: Number 4 Super Comb Prep & Protect is a light, nearly odorless leave-in conditioning spray designed to soften locks, strengthen hair and provide a UV shield from sun and other environmental damage. 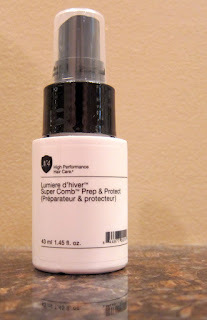 It leaves my hair soft and shiny without drying out my scalp, like other products can do. This is definitely a conditioning spray, and it won't add volume or bounce to your hair, especially if it's fine, like mine. But it is nice every once just to have super-soft and healthy-looking hair. So I'm willing to trade out volume every once in a while. Especially since it takes out all the tangles. Number 4 recommends that you use this product on towel-dried hair after washing your hair as normal, even if you use conditioner. Then style as normal and enjoy. KEEP OR TOSS: Keep. My hair needs volume boost, but this is a nice look to mix in, too. CHECK IT OUT: Watch a video demonstration of the product on the Number 4 website.